Welcome to the first week of the Weekend Baby Style link up where we are co-hosts helping out your lovely original host Hannah, from First Time Mummy. We are super happy to be co-hosts to this great linky and we can't wait to see all your fab outfits on your little ones. We hope that, with time, this linky will grow and grow and that we can share lots of linky love across all our blogs. I genuinely feel it's one of the best parts of blogging - how friendly and supportive we all are of each other. If you think of a friend who might be interested in linking up with us then please feel free to pass on the deets! Onto our fave outfit from this week. It was a hard choice this week because I had Isla rocking a few of my favourite bits and bobs in her wardrobe this week. A certain young girl wasn't in the mood for getting her photo as she was feeling a little under the weather. She's usually such a poser but it took quite a while to get these photos this week! I love this top. I saw it in Zara ages ago but they didn't have Isla's size. Then I happened to be up at home in Scotland and I spotted it, in the sale, in Isla's size. It was meant to be! I do love a top with wording on it and I love the font of this one. The jeggings are fab style wise but to be perfectly honest the quality isn't that great. I've been little disappointed with the quality of Zara's bottoms recently. I'm not sure why they wear out so fast. Hopefully I've just had a bad batch! I love the Lemon colour of this headband. It really makes the outfit 'pop'. It's a bit different from your usual White and Pink ones. And everyone who knows me, knows i love a good moccasin. Be prepared to see a lot of these in our outfit posts! 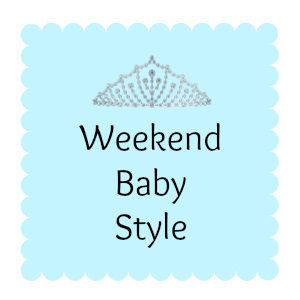 Use the hashtag #weekendbabystyle on social media and mention us @firsttimemummy_ and @KnottBumpAndUs. We'll try our very very best to RT everyone that does! 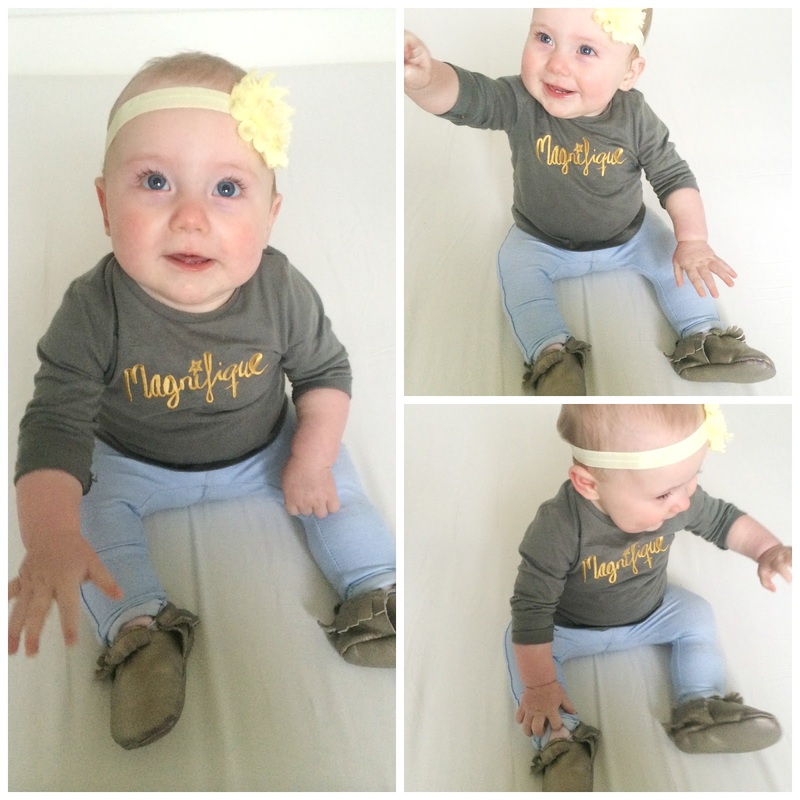 I love those little shoes and the jeggings, effortlessly stylish. I'd love to get my Joey some of those Moccasins but he just pulls shoes off. That headband really does give the outfit a pop. This outfit is adorable! Glad you managed to find the top (and in the sale too even better) it really suits her! You've no idea how much you have me lusting after a pair of moccasins!!! But Aria isn't as much of a shoe lover as I am, so I may just have to buy some for myself! Haha.